Fiona has published seven novels to date. 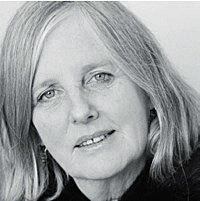 Her first novel 'The Skinny Louie Book' won the NZ Book Award. 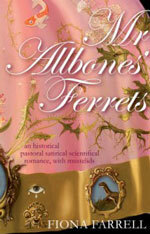 and with 'Mr Allbones' Ferrets' were nominated for the international IMPAC Award. published in August 2017 by Penguin Random House New Zealand. 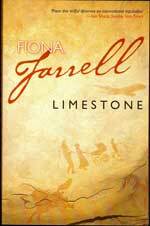 'Fiona Farrell's breathtakingly accomplished first novel is a head-on confrontation with a New Zealand psyche rarely found in history books. On 22 September 1960 six girls gather behind the school toilets to read Peyton Place...these girls confront in their various ways the uncertainty and fears of adolescence. Let’s begin with Dale Spender’s observation in Mothers of the Novel, that the novel developed in parallel with modern empirical science. While men were off exploring, gathering data and testing hypotheses about the universe, women – who were confined largely to the domestic sphere – were creating their own experiments in a new medium called the “novel”. Typically, a novel is about a group of hypothetical individuals brought together in an imagined setting who behave in a certain fashion. Spender goes on to list hundreds of these early “novels” – not just the 2 or 3 – Moll Flanders, Robinson Crusoe, atypically written by men – which are usually studied today. Novel writing began as a predominantly female field of enquiry: an attempt to understand the human condition and the world we live in. Each book was prized for being exciting, entertaining and innovative – and each had a serious underlying experimental intent. That’s what I wanted to re-create in The Hopeful Traveller. I wanted to make something novel, something entertaining – but I also intended it to be an experiment of an absolutely classical kind: a group of people are gathered on an imaginary island. I wanted to engage the reader in a game – because that is what reading fiction is, after all: it is play, an adult extension of “let’s pretend…” That is why to read the book you must first make a choice. It is a simple choice, the kind you make when you must decide whether to be the top hat or the motorbike when you sit down to play Monopoly. Will you choose to begin with the past, or with the present? That fact – whether we prefer to read “historical” or”contemporary” fiction is interesting in itself. Do we like the reassurance of the past, the certainty of a completed action? Do we like the clothes, manners and curiosities of history? Are we reading for interesting facts, as well as for romance or suspense? I’m thinking of the pleasure we get from reading a book like Suskind’s Perfume and its welter of curious detail: that perfume was transferred from petals to animal fat, for example. Or do we enjoy the raciness of surfing along on the wave of the present, and the excitement of recognising our everyday lives reflected in print: Bridget Jones’s obsession with pounds and ounces would be an example. Do we prefer topicality and the sense that the ending is uncertain? I wanted to write about the theme which I think dominates our era in history: anxiety and its converse, hope. Michael Moore’s Stupid White Men describes the culture of terror in which we live today. We are deluged with terror: of plagues, old age, faceless enemies, and that all the bananas in the world are going to die within the decade. We struggle for security, spending billions to protect ourselves, building “secure villages” equipped with security lights, we insure everything in sight – our cars, our homes, our holidays, our lives – while mistrusting everyone: politicians, scientists, business people, the media. One half of this book is set in an era of optimism. It opens with a journey on a train and with delight in technology. It is an era which has faith in progress, science, and the perfectability of society. Saint-Simon, Marx and Fourier, from whom I quote extensively in the book planned ideal communities, sometimes in exquisite detail: Fourier’s “phalange” consisted of 1650 souls, blessed with 9 square meals a day and creative variety in their daily work. Much of this half of the book is “fact”, however odd it may seem: Harry Head, for example, truly existed. He made literally hundreds of journeys mid-century, and spent some years living as a hermit in a remote bay on Banks Peninsula, where he broke his arm attempting to realise on a wild beach, that great dream of the nineteenth century: powered flight. The other half of The Hopeful Traveller is set in the more anxious present when flying through the air no longer holds quite the charm it held for Cayley and his fellow-inventors. The characters in this half of the book seek ways to maintain optimism in the face of anxiety: they look for happiness in friendship, love, children, work, nature. They survive by resorting to resignation, or repetition of old behaviour, or trying something dramatically new, or reconstructing something that has been destroyed. They look for hope in small joys and in miracles. They find a kind of faith in the shape of a baby – who could be Maui, or Moses, or one of the children from some rusted hulk carrying refugees in hope across the sea to some other country. The miraculous baby has always been symbolic of hope and regeneration. And above all this human history and busy-ness, there exists a greater, gentler rhythm. I am surrounded as I write this by trees and birds and sheep. A few metres from the hut where I work, is the sea with its multitudes of fish and on the rocks nearby there are seals and penguins living their daily lives. They live according to another sense of time. Each section of The Hopeful Traveller begins with an albatross flying over the ocean. She will live on this planet for about 70 years: roughly the same time as me, if I’m lucky. She lives free of a notion of history, in accord with a time scheme which subsumes all others. She gives me hope, not for me or for my species necessarily, but for this beautiful planet and all its marvels. We tend to think of our lives as consisting of what we do and what is done to us, our actions, but if we are entirely honest, for most of us they don’t amount to much. We know about and inhabit worlds infinitely more remote and various than the everyday life we live. Why? Because we read. We read not to pass the time, or to escape from the real, but because in reading we encounter a reality far more significant than that of the everyday, composed out of an accumulation of everyone who has ever written or read or simply framed a story. Literary theory may be a dire and pernicious doctrine, but its concept of intertextuality, of books in an unending conversation with other books, is one that any reader will at once recognise as true. This sense of the life in and from the page seems to me self-evident, but what Book Book, Fiona Farrell’s wonderful account of a life in books, makes clear from the outset is the complicated, undiscriminating, and highly material way that reading becomes part of us. Yes, we can admire the range of War and Peace, and Jane Austen’s strictures on honesty in relationships guided us through that nasty break-up. But at the same time we remember the shiny cover of the school reader we encountered in primer two, the crumpled stack of comics that the boy next door kept in his tree hut, the feel of the slightly damp blotting paper-like pages of Tim and the Brave Sea Captain, the slightly mildewed, oddly peppery smell of the Book Exchange in suburban Hamilton and its complete and definitive Denis Wheatley collection. By “we” I mean of course, me. One of the many joys of Book Book is the sense of recognition I felt on every page. Farrrell and I seem to be part of the same reading scheme. We are, I would guess, the same age, and what and when we read things is a means of categorising us more exact than carbon dating. In reading Book Book, I get a sense of the everyday in 50s, 60s and 70s New Zealand, with markers I had forgotten – Life with Dexter, self-devised clubs with elaborate rules (ours was wistfully more focused in the horses we longed for but never had), gingham bikinis, the collective appreciation of the facts of life as gleaned from the pages of Peyton Place. Book Book is not a memoir. 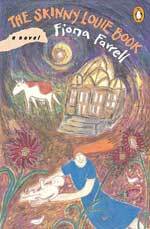 Farrell shapes her world of books in terms of a central character, Kate, growing up in Oamaru, reading, but also negotiating her way through her family, its eccentricities and fables, moving out into the world of Otago University in the 60s, to OE in London, and the postgrad trail to Canada. But it is made clear that reading is as central to Kate’s progress as love, marriage or family – in fact, it is inextric-ably part of those processes. Reading is how she enters motherhood (like her, I couldn’t bear to read the pregnancy manuals but preferred the slightly less exact and therefore less terrifying fictional accounts). And reading is the way that she encounters her nationality. For Kate, Farrell, and anyone of our generation, New Zealand didn’t exist textually. Books were both absolutely immediately real and always about somewhere else. It is only when Kate is in London that she begins to read of home, and when she is in Canada that the problem of colonial erasure is made clear to her. Reading about a central character growing up in Oamaru, in a book written by an author born in the same town inevitably brings to mind our other Oamaru author. Like Janet Frame, Farrell is shaped by the power of words. But her universe of words is funnier and more relaxed than Frame’s, less weird, but at once particular and generously open. 'A young man out poaching. A beautiful maiden in a mysterious house. A perilous voyage to distant islands. All the ingredients of a highly coloured Victorian romance are played out in the context of the great colonial experiment. Author’s note: Mr Allbones’ Ferrets. The introduction of stoats, ferrets and weasels (collectively called ‘mustelids’) to New Zealand’s unique island environment unleashed one of the most catastrophic exterminations of species every recorded. This novel is based on the facts of that event. Mr Allbones really existed. His name appears on a receipt for a consignment of nearly 500 stoats ordered from England by the Wairarapa runholder George Riddiford in 1885. There was opposition to the plan, mostly from poultry owners who knew full well the reputation of stoats, ferrets and weasels as killers of domestic fowl in their native environment in Britain. But the runholders gained the approval of government. At great expense and effort, thousands of the creatures were trapped in the British countryside and dispatched by ship to the colony. It was a very difficult enterprise. The animals needed their fresh bloody meat, and the voyage from Britain to New Zealand took around four months across some of the wildest oceans on the planet: south round the tip of Africa and into the low latitudes as close to the ice as the ship’s captain dared, where consistent gales would blow the vessel east. To keep the animals fed, thousands of live pigeons were brought on board, which could be kept alive on corn then killed as required. Birds and mustelids had to be housed securely on wooden ships, since iron hulled boats overheated in the tropic doldrums. They needed constant tender care on the voyage from keepers especially employed for the task. Nevertheless many hundreds of animals died en route: of one shipment of 1200 only a couple of hundred survived. Those that did arrive safely were then carefully distributed in warm boxes into the very heart of the bush adjoining farm properties. And once there and established in their new homes, they promptly turned their attention not to killing rabbits, but to killing the unique native birds of the country, many of them rendered flightless by thousands of years of evolution in the absence of any predators. New Zealand has no native land animals. A few species of tiny lizards, some frogs, snails and various insects posed no threat whatever to the dominance of birds which evolved to fill the niches that are held elsewhere by mammals or large reptiles. The kakapo, for instance, is a massive parrot that becomes active at night, cannot fly and freezes when alarmed: easy prey to a fierce killer like a stoat. Once the mountains resounded to the deep repetitive throb of their booming on moonlit nights, when the males gathered in hilltop ‘parliaments’ to attract mates to the hollows they had scooped among the tussocks. Now, only 90 birds remain, protected by dedicated teams of conservation workers on islands far enough from mainland New Zealand to be free of the stoats who have steadily destroyed them. Only last year, it was discovered that a stoat had made the kilometer-long swim from the mainland and invaded one of the island sanctuaries in Fiordland: all the kakapo there had to be immediately gathered up and airfreighted elsewhere. Without all this effort, the kakapo would follow numerous other New Zealand bird species into total oblivion. I know about this at first hand as my younger daughter has been working on the kakapo team for several years, most recently helping hand-rear six chicks in a basement in Nelson until they were big enough to cope alone in the wild bush of Codfish Island off the southern coast. So when I came across Allbones’ name and the name of his mate, ‘Fowler Metcalfe’ as the keepers employed to care for Riddiford’s consignment of stoats I was delighted: how apt these names were for a couple of the men responsible for unleashing a plague! The novel began to take shape around these names. That is the only detail however, that is historically factual, for I wanted to write fiction. Historical novels are never really about the past. They are really about the preoccupations of the time in which they are written and what I wanted to write about was not the disastrous introduction of stoats, ferrets and weasels to New Zealand, but another proposed introduction of an untried species to this country and to the world in general: genetically engineered species. I believe this enterprise raises the same risks as the introduction of foreign organisms to this country in the nineteenth century. I believe that the same forces that drove the release of mustelids to New Zealand are driving the introduction of genetically engineered animals and plants: business interests preoccupied with profit along with government compliance and some misapplied science. 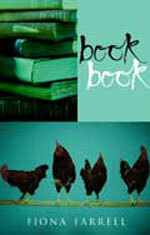 I intended this book to be a kind of fable about humans meddling with the natural balance. Fables usually have a caution at the end. They also typically blur the distinctions between human and animal. In Aesop’s fable, for example, ‘Belling the Cat’, the mice have a meeting to discuss their problem. In Mr Allbones’ Ferrets humans behave in many ways like animals, and in particular, they behave like mustelids. Allbones has a strong sense of smell, for example, and the human passengers on the boat hunker down below decks just like the ferrets in their cages. Males battle over a female, the older male finally being outwitted by the younger contender. The animals on the other hand, gather some human empathy. In New Zealand, mustelids are generally regarded with suspicion. Some people might keep them as pets, enjoying the playfulness which is really rehearsal for killing like the hunting play of that killer kept as a pet, the cat - but it would be more usual to regard them with distaste. 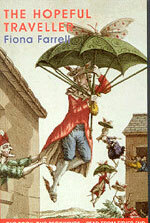 In this novel, however, the ferret has not yet been transported to a place where it can do real harm, so it is described as demure and lovable, contradicting the normal local stereotype. I wanted to write about the way human meddling in the delicate balance of nature can bring about catastrophe – but I didn’t want to preach. That was why I wrote a love story. I like playing with ways to tell a story: the novel is such a big form, and offers such scope for experiment and play. I like placing unlike things side by side. In this book, I have twinned the scientific fact of species extermination with historical romance. That’s why there is a beautiful maiden kept near prisoner in a mysterious house, and an evil grandfather who stands in the way of the young man, who is too poor ever to have a chance of winning the maiden’s heart, but who overcomes all obstacles and ends up marrying her after all. In a way, the book is an extended prologue. Before they even begin reading, New Zealanders will know about the consequences of introducing ferrets to this country. It is impossible to ignore when you go for a weekend walk through near-silent bush or go to your local bank branch and see the posters asking for donations to schemes to help preserve the last of the kiwi. We live with species extermination as a constant theme. Th catastrophe is never spelled out explicitly, but this narrative is all about the effort required to bring it about. The romantic conventional happy ending for the two young lovers is the beginning of complete environmental catastrophe, and that unspoken knowledge colours the entire experience of reading the narrative. It’s the black lining to the pink, romantic cover. The cover image was one of those marvelous, perfect discoveries. I came upon Mary Rose Crook’ painting, The Pest Dress, at an exhibition of the Dunedin-based artist’s work. It is a stunning painting, one of a series about New Zealand history. The dress is a beautiful crinoline of pale pink silk. The fabric is heavily embroidered, and each detail of the embroidery is a different kind of introduced pest: there are rabbits, stoats, gorse, blackberry brambles, all of them looking utterly exquisite in gold thread alongside a traditional motif of mourning: an eye shedding a pearl tear. Crooks was also playing with the notion of making something ironically sweet and exquisite about environmental devastation and I’m so grateful to her for letting me use a detail on the cover of Mr Allbones’ Ferrets. Clare Lacey is on a quest. In Ireland to attend an art-history conference, she sets out to find her father who walked out one day to buy a pack of cigarettes when she was a child, and disappeared. She is urged on her way by chance encounters: with a woman in a high tower, a blind man at a crossroads, a couple of rotund earthlings, a singer whose song she does not understand....Clues lie all around on a labyrinth of walls - but the final clue lies deep within. With Irish roots and a nod to an Irish classic, The Year of the Hiker by John B. Keane, this is a contemporary novel about inheritance, belief, art, love...and limestone. "This is a cunningly contrived, beautifully written and wonderfully readable novel. Not only does it say much about that peculiar New Zealand unease over ancestral roots, those nagging questions of identity, but page for page it has the type of prose that can only be written by somebody who knows exactly what effects she means to create and exactly how to create them. 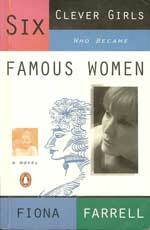 A novelist at the top of her form, in other words." She has created history with her works...leading the charge in terms of literature to have emerged from the broken city... elegant, beautiful and large in scope... richly detailed characters who share our place on Earth and the story of our country... brings our collective history to life in a way which is evocative and thought-provoking...Reading 'Decline and Fall on Savage Street' and 'The Villa at the Edge of the Empire' is to be struck by the notion that these works are indelibly important in our literary history. 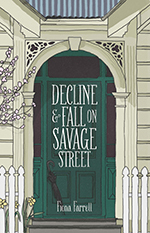 Wide-ranging yet intimate, poetic yet simple, of the singular home yet speaking to the complexities of city and nation, 'Decline and Fall on Savage Street' is a remarkable read. ... at once a captivating and poignant story and a social commentary. Farrell reflects on progress and loss, the circle of life... With this novel and her other quake books, she leaves a significant legacy in her recording of a pivotal time in our recent history. Farrell's writing at its finest. Flowing and apparently effortless, never self-consciously clever or intrusively overwrought, the expertly-rendered detail supported by strong foundations.